If you are one of the millions fans of the Diary of a Wimpy Kid, here is the exciting news. The eleventh installment is going to be out on Nov. 1, 2016. The waiting list is growing now, so why wait? Be the first ones to read it. Click here to reserve your copy. 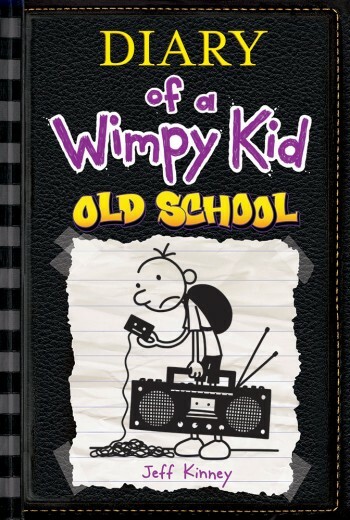 The 10th Diary of a Wimpy Kid – Old School will be out on 11/3/15. Did you put your name on the waiting list yet? We’d ordered 50 copies, but the wait list is growing. So reserve yours today and be the first ones to read it. If you are a fan of Greg Heffley, good news! The 10th installment is on its way this fall. The expected publish date is November 3rd, 2015. Check the catalog from time to time. Once we have it up there, you will be able to put it on hold with your library card. Be the first ones to read it this fall! 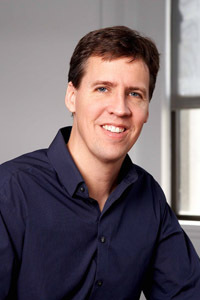 Here is a link to the live pod-casted interview with author Jeff Kinney on April 27 in which he reveals of the cover of his latest book. 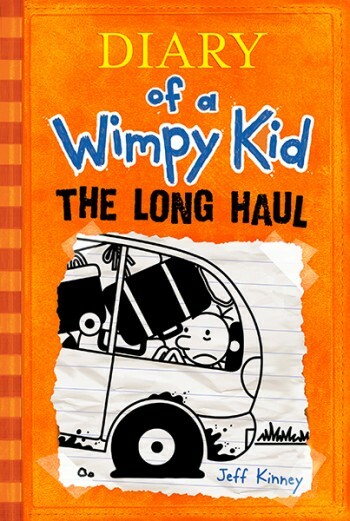 Long Haul — The Newest Diary of A Wimpy Kid is here!! 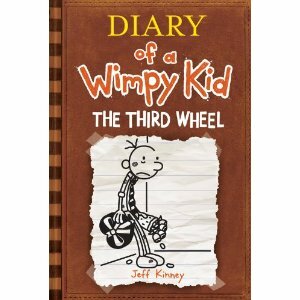 One of the most popular children’s series, Diary of A Wimpy Kid, just had its 9th installment came out last week. We had ordered 52 copies for all the Alameda County library branches. These copies will go first to the early birds who had put it on hold in the past few months. So, you probably won’t see the book at all for a while. Have you order yours? Waiting list is growing, don’t wait!! Just click here and click the “Request it” by the book cover to reserve a copy. The Horn Book Magazine and The Horn Book Guide are the most distinguished journals in the field of children’s and young adult literature. Talks with Roger is part of Horn Book’s free monthly e-newsletter. Roger Sutton has interviews various well-known authors of Children’s literatures in his “Talks with Roger” column. This time he got the chance to talk to Jeff Kinney, the author of one of the most ever popular “Diary of a Wimpy Kid” series. 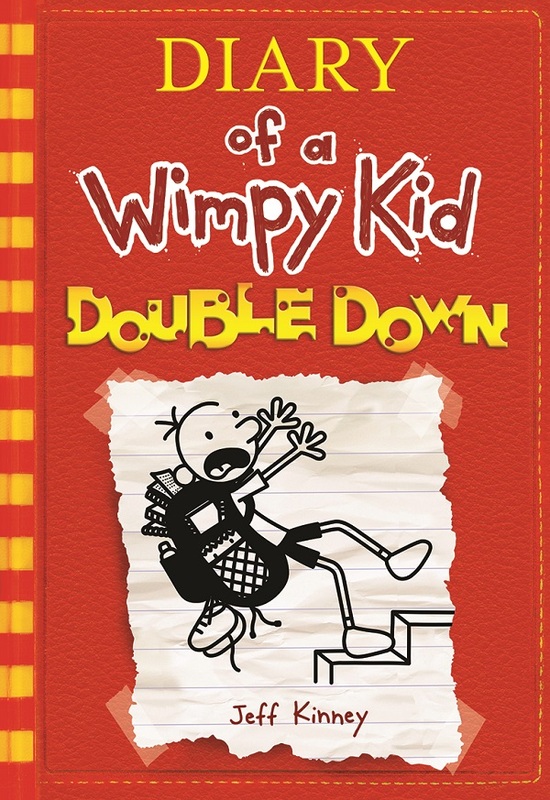 Greg Heffley is back, in Diary of a Wimpy Kid: Hard Luck, the eighth in Jeff Kinney’s mega-popular novels about the middle-school antihero. The format, in which hand-printed journal entries on lined-paper pages are expertly punctuated by cartoons, has proven irresistible to ten-year-olds everywhere and of every stripe, a meeting place for eager and reluctant readers alike. While kids must hope that they would demonstrate more grace under pressure than does Greg, his problems—what do you do when your best friend gets interested in girls? How do I fit in when my mom makes me wear a sweater vest?—are their own. Jeff has been very busy this month touring in support of Hard Luck, but I finally managed to catch up with him on the Wimpy Kid bus via phone. RS: Hi Jeff. You’re out on tour? JK: Yes, I’m on tour, on a bus. RS: You have a bus? JK: It’s a giant lime-green Wimpy Kid bus, with something like eight bunks and eleven televisions. It’s pretty fun. RS: You’re like a country-western star. JK: I think this bus was actually used by Willie Nelson. RS: I saw on Twitter that you were at the Charles Schulz Museum, and I was wondering what your Greg would say about Charlie Brown. JK: They’re kindred spirits, in a way. All cartoonists owe a debt of gratitude to Charles Schulz. JK: Yes. A lot of protagonists in children’s literature are on the heroic side, and I wanted to create a character that was more like I was. JK: I always thought that anyone who felt that way wasn’t in on the joke. You don’t want to be too heavy-handed when writing for kids, because they pick up on that. If you moralize they’re going to reject it. So I let my readers make up their own minds about Greg Heffley. RS: Greg’s actions speak for themselves. Sometimes he’ll do something foolish, but more often than not, things seem to work out for him. JK: Right. There have been moments in my books when Greg does the wrong thing, even when he knew that he was doing the right thing. There’s a reason there’s a frown on his face on every cover. He’s an unhappy kid, just because of his own actions. RS: Do you think he’s essentially an unhappy kid? JK: Yeah, I think he feels put-upon. I never like it when somebody describes him as whiny, because that’s not at all how I feel about him. RS: My mother would have called him fresh. JK: That’s a good word. He’s a kid who’s in middle school, and a kid who’s in middle school is, generally speaking, not that happy. RS: Yes, middle school is miserable. I assume you drew upon your own experiences to create Greg’s persona and situation? JK: I spent about four years trying to remember exactly what it was like to think like a kid, to rationalize like a kid. I really wanted the character to feel authentic. In a way, how a kid behaves is just the way an adult behaves, but an adult has learned to mask it. Greg is sort of the worst version of myself, or the side of myself that I’m not so proud of. RS: Who do you think of as the typical Wimpy Kid reader? It does seem to be the kind of series that non-readers enjoy as well as readers. JK: I would say the average fan that comes to a book signing is eleven years old, fifth grader, maybe 60 percent boys, 40 percent girls. It’s exactly who I’d like to be writing for, so I’m happy about that. RS: What’s the secret to writing for boys? Everyone’s trying to crack that. JK: I lucked into the secret to writing for boys, which is that I didn’t write for kids to begin with. I wrote the Wimpy Kid books for adults. I wasn’t thinking of kids as an audience at all. It was my publisher who made that decision. So by not having a kid in mind when I was writing, I didn’t try to impart some sort of lesson. I think I would have written quite differently if I were thinking about the audience. RS: Did anything have to change when the publisher said, No, Jeff, this is really for kids? JK: Maybe one or two jokes had to change. And even so, they didn’t have to change much. My sensibilities are really G- or PG-rated. RS: How do you know when to leave a joke to the picture and when to put it in the text? I think you do that brilliantly. JK: Thank you. The DNA of these books is in comic strips. In comic strips there’s a setup and then a payoff, and I like it when I can pay the joke off in the image. RS: Which do you think you are more naturally, a writer or a drawer? JK: I think I’m more naturally a cartoonist. I don’t consider myself to be a good writer or a good illustrator. But I think I’m a pretty good cartoonist. RS: How far do you think you can take Wimpy Kid? How many volumes can we expect? JK: I’m not really sure. I was just having this discussion with my editor. We reached number one on all the bestseller charts for this week—thank you very much—and I think that’s the sixth year in a row. It’s very hard to walk away when you feel that there’s an audience, or you feel like you have something to say. I think I’ll know because the interest will start to wane, but for now it feels pretty good. RS: Does Greg age at all, or is it this perpetual middle-school time? JK: He doesn’t age. The best cartoon characters don’t ever age. They stay the same. I made that decision with the fifth book, The Ugly Truth. Greg is frustrated that he can’t seem to get older when his classmates are going through puberty. What he doesn’t know is that he’s a cartoon character. He can’t move on. RS: Sadist. Do you get suggestions from kids about any particular behavior that he might exhibit or situations he should be in? JK: Kids are always wondering if Greg will get a girlfriend. I’m not so sure that’s where I want to take the books. In fact, I really strive for sameness between books. I want them to be very even. There’s some innocence lost, in a way, when your beloved characters change. RS: What kind of recreational reading do you like to do? JK: I listen to a lot of biographies, some autobiographies. You can always learn from somebody else’s life experience. RS: One thing you can learn from Greg is empathy. JK: A lot of parents of kids who are autistic reach out to me and say that the Wimpy Kid books are very important for their kids. I think it’s because they learn a lot about emotions by reading the text and seeing what plays out in the images. JK: We’re planning on opening a bookstore. Hopefully it will all work out. It’s in a small town that can’t really support it on its own, but that’s our plan. Have you put your name on the waiting list for the Newest and the 8th Diary of A Wimpy Kid yet? If not, you’d better hurry up!! Click here to reserve your copy. 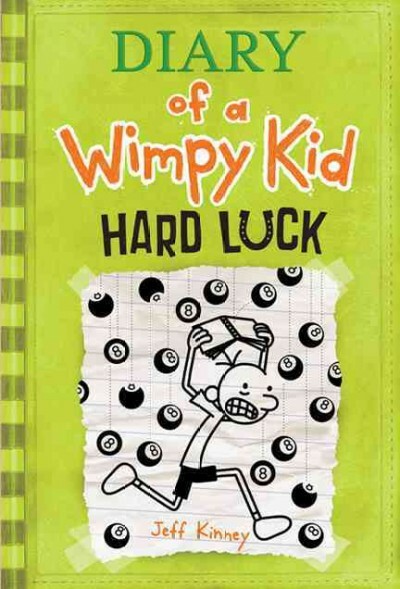 Hard Luck – the 8th Diary of A Wimpy Kid will finally be out on November 5, 2013. Do you reserve your copy yet? The waiting list is growing; you better act quickly. For other titles in the Diary of A Wimpy Kid series, please check here. Attention!! Diary of A Wimpy Kid’s Fans!!! Greg Heffley is coming back to you in different ways now. The third movie, Diary of a Wimpy Kid: Dog Days, landed in theaters on August 3. The movie picks up the story where 2011’s Rodrick Rules left off and incorporates plot elements from the third and fourth titles (The Last Straw and Dog Days) in the book series. In preparation for the theatrical release of Dog Days , Twentieth Century Fox Consumer Products has launched a national retail campaign, carrying a full range of Wimpy Kid products – bookmarks, book lights, and a prank kit (moldy cheese and flies in ice ~~ Yuck!!) in one of the nation-wide chain stores. This makes it seem like Greg is everywhere around you. The newest and seventh book, The Third Wheel, is scheduled to be published on November 13, with a first printing of more than 6.5 million copies. It will be published nearly simultaneously in seven countries in Europe, Australia, and Asia. If you would like to know whether Greg gets a date for the Valentine’s Day dance, you won’t want to miss this book. The Wimpy Kid series has sold more than 75 million copies worldwide and is available in more than 41 countries so far. The two previous films based on the books have grossed nearly $150 million globally. This is how popular Greg has become. So now you know why you often couldn’t find him in the library. If you want to meet him, hurry up and reserve your copy here. Be aware that the waiting list is getting longer and longer now. After you reserve it, just be patient and wait for your old friend to come back and meet with you.